WellPATH seeks to foster a healthy work environment and engage District employees in their health and well-being. The program assists employees along their path to optimal health through education, wellness activities, and resources that support healthy lifestyle choices. At this time, active employees, spouses, domestic partners, dependent children age 18 and over, early retirees (defined as a retired individual under age 65 and not eligible for Medicare), and retirees covered under the District’s health benefit plan are eligible to participate in the WellPATH Employee Wellness Program. Wellness is an active process of becoming aware of and making choices toward a healthy and fulfilling life. WellPATH is committed to ensuring that employees have the tools and resources available to take better ownership of their own health. 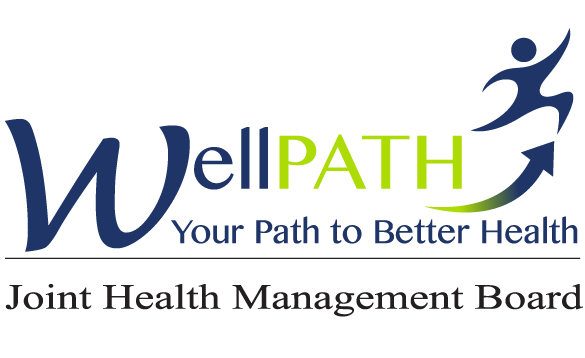 WellPATH an initiative of the Joint Health Management Board of Fresno Unified School District and is an employee wellness program designed for, and by, employees of Fresno Unified School District. WellPATH provides health education, group fitness classes, health screenings, monthly webinars and other health related resources. The wellness program provides Fresno Unified employees with opportunities that guide and encourage a healthy commitment to positive lifestyle change. Who can use WellPATH? Can spouses and dependents participate in WellPATH? – The individual can provide proof of enrollment such as a healthcare member ID number. Will WellPATH affect my health insurance costs? No. Your participation is not connected to your health insurance. What services does WellPATH provide? What can I expect as a participant of this program? WellPATH participants are supported by our WellPATH Director, WellPATH Champions, wellness instructors, and a suite of online resources designed to improve your health and well-being. You have access to a variety of tools that will help you achieve your wellness goals, and you may participate at WellPATH services at sites other than your own school or worksite. How do I request an event at my worksite? WellPATH services are available to all schools and worksite, and logistics are coordinated on a site-by-site basis. To request an event, visit the Request an Event page. If you would like to set up a seminar, please contact us! Class minimum is 15. If the interest from employees at your worksite is too small to meet the minimum, consider partnering with other nearby schools or district worksites. You can also contact the WellPATH office to try to locate other interested employees in your area. Space is limited, so contact the WellPATH office to schedule your event today. What is a Wellness Champion? A Wellness Champion is an on-site ambassador for the WellPATH program who is committed to creating a workplace culture of health and wellness. 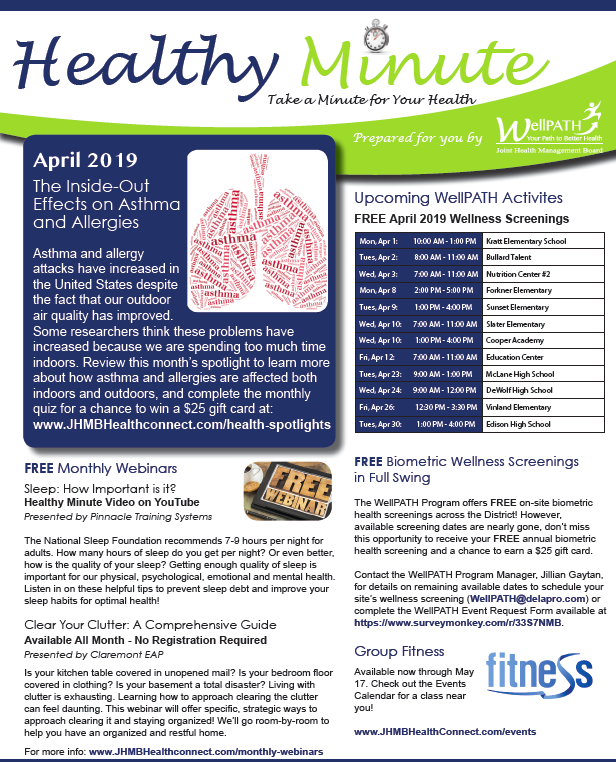 The Wellness Champion shares wellness-related information with coworkers and helps them connect with wellness programs and activities offered by WellPATH. Having a Champion as a point of contact at each worksite provides program support and implementation at the “grass roots” level. How can I become a Wellness Champion? We are looking for volunteers! To learn more, visit the Wellness Champions page or for more information contact the WellPATH Program via the JHMB email address at wellpath@delapro.com. Healthy Minute Video: Sleep: How Important is it? If you have questions regarding your benefits, wellness offerings, and/or information provided on this site, you can send a message to the JHMB. We will attempt to respond to all messages within 1 business day.